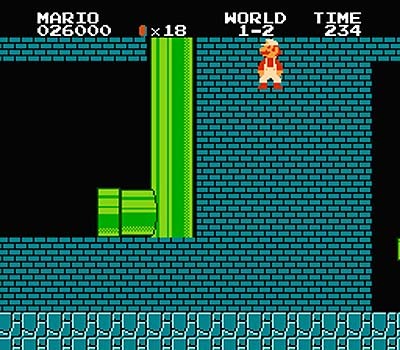 Golden Classic Course Pack is free until January 31st 2013 - includes levels 1-1, 1-2, 1-4 from Super Mario Bros. and 1-1, 1-5 from Super Mario Bros. 3. Just played through them, really fun, packed with secrets and nostalgia. Also, this is awesome. Will have to download. I'll check it out later. Free DLC is always nice! EDIT: Video of some levels in this Japanese Nintendo Direct. Looks fun! Nice surprise to wake up to :) Just finished playing through 'em. Pretty awesome. This was exactly what I felt the DLC needed. Mario level designs are imprinted in our brain and are as iconic as the mustached man himself. There was a North American Nintendo Direct too. Sweet! My first 3DS DLC! I still don't have this game :( Has anyone tried the -1 trick in 1-2???????!!!!!!!! Free? Free is good. We like free. I'll have to remind myself to download this when I get home tonight. Do I download this from the game or the eShop? This is kind of random, why did they decide to offer this one free for a short time? Downloading now! Woo! Love free stuff. EDIT: Ha, those courses are amazing! The only thing I'm annoyed by is that they used the crappy NSMB theme for 1-1 instead of the proper old-school SMB theme. Dammit! Someone try negative world trick! I don't know why, but it's driving me insane! Very fun! I love how they play with your expectations constantly!